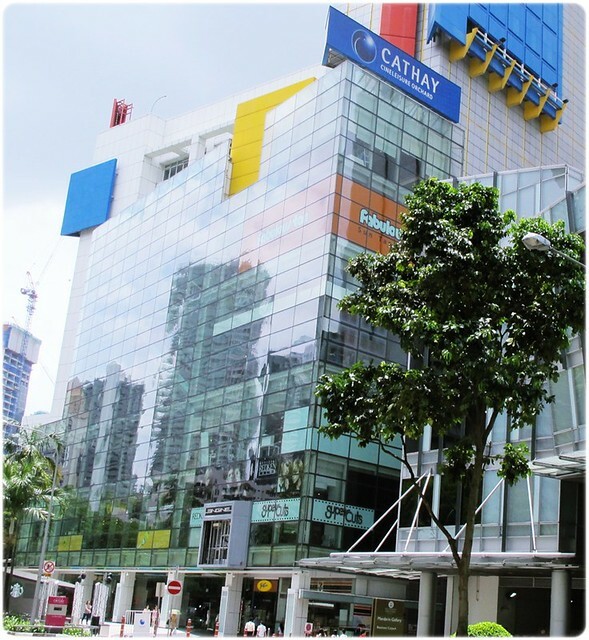 SHENNYYANG - Singapore's Lifestyle & Travel Blogger: Adv: Cathay Cineleisure Orchard - The Season of Revival! Adv: Cathay Cineleisure Orchard - The Season of Revival! They say there's no place like home... and that is true, especially so for my 2nd home - Cathay Cineleisure Orchard!! I find it hard not to visit Cineleisure each time I am in town because... THEY SIMPLY HAVE E V E R Y T H I N G!! From shopping, food to even movie theatres.. you name it, they have it all!! I call Cineleisure my 2nd home even more so now because... I CAN HAZ MY OWN POSTER RIGHT OUTSIDE CINELEISURE OMG. Have you seen it yet?? hehehehe My poster, alongside with Joey and Don will be up from August - October so there's plenty of chances for you guys to see it! 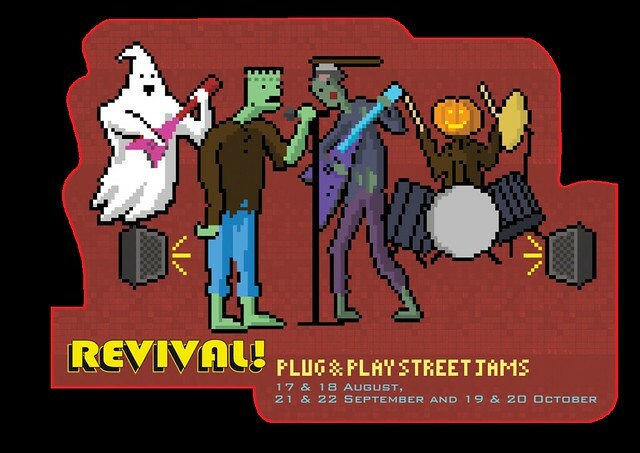 This summer, the season of REVIVAL returns with Cathay Cineleisure Orchard's signature National Day Special, Halloween Treats, Haunted Houses and sizzling All-Babes Cineleisure Dance (ABCD) Battle! These are the few events coming up at Cineleisure that you definitely wouldn't want to miss! This is a platform for local bands to showcase their talents for free! This takes place one weekend per month from August to October! The well-acclaimed, sizzling and smokin' hawt All-Babes Cineleisure Dance (ABCD) Battle will be making its 3rd season this year with auditions on 7th September and finals on 5th October! 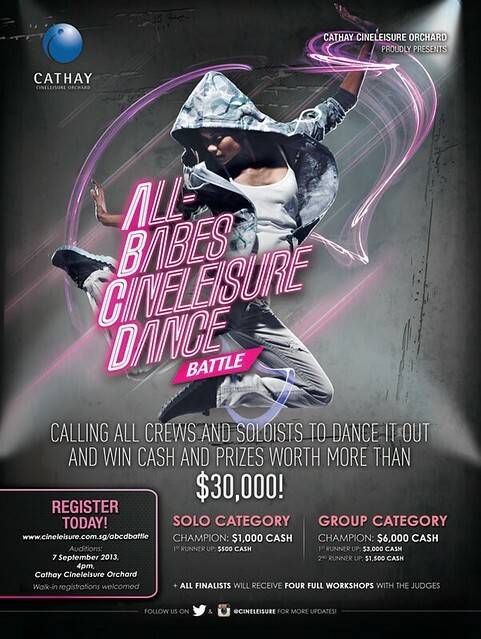 The All-Babes Cineleisure Dance (ABCD) Battle will see the ladies battle it out in the SOLO and GROUP category to be this year's Champion for prizes worth over $30 000!! Sizzling grooves, smokin' hawt moves and unrivalled versatility are a must! 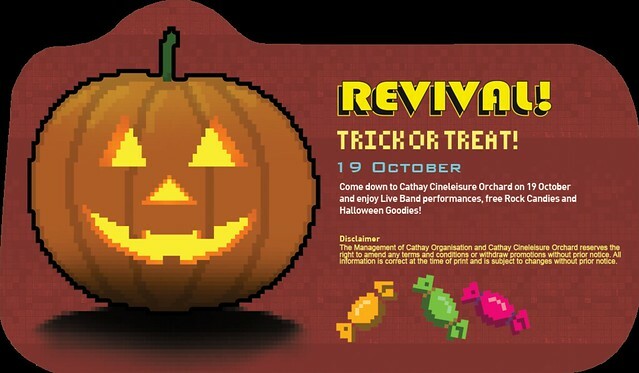 On the 19th October 2013, head down to Cathay Cineleisure Orchard and enjoy Life Band performances, free Rock Candies and Halloween Goodies!! Remember to mark your calendar oh!! SURVIVAL CARD Now till 31st October Shopaholics also get to choose their Survival Tools from this season’s array of Spend & Redeem Rewards in the SURVIVAL CARD, from Rock Candies, Halloween Surprises and Movie Tickets to a ticket to a pair of passes to this year’s most acclaimed Horror House experiences, you guys will literally come back screaming for more! Stroll down horror lane! 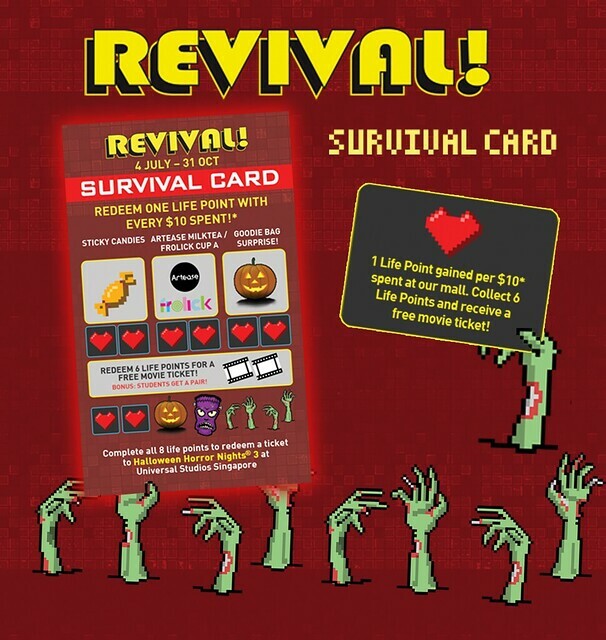 With zombies, ghouls, survival and life points, the Survival Card rewards you with Life Points to be used for redemptions! 1 Life Point gained per $10* spent. Collect 6 Life Points and receive a free movie ticket! The first 100 survivalists each month from August** to October who collect all 8 Life Points will receive a ticket to Universal Studios Singapore® Halloween Horror Nights® 3 ticket! Students Special: Students will receive 2 movie tickets with every 6 collected Life Points. *GIVEAWAY* Cathay celebrated its 78th anniversary on 18 July 2013. To share this joyous occasion with Cathay’s customers, businesses under the organisation will offer an array of promotions and giveaways to reward their loyal patronage. 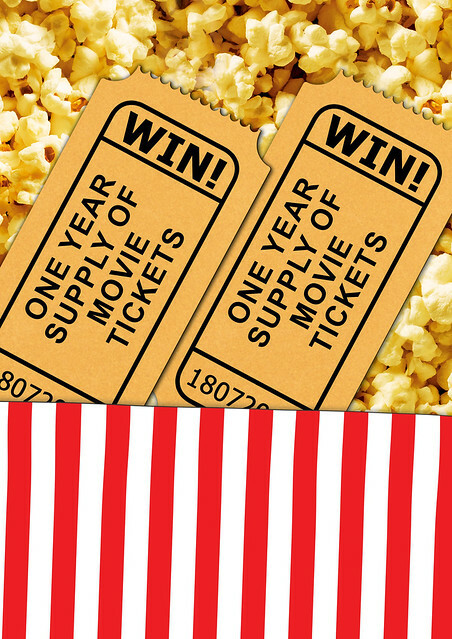 Now here's YOUR CHANCE to win ONE YEAR SUPPLY OF CATHAY CINEPLEXES MOVIE TICKETS! Fans of Cathay Lifestyle Facebook page are encouraged to share a birthday post on the page to spread the love for Cathay Lifestyle. As the page hits 12,000 fans and up to 16,000 fans, up to three fans will be selected to be rewarded with one year’s supply of movie tickets each. 2) "SHARE" the Facebook post with all your friends and get them to "LIKE" us too!